We had a rushed, but fun three days in Livingston the first part of the week. We were glad to see friends and relatives, but we hated being at the Rainbow’s End RV Park. It is an escapees park, but the rates are still high. We use AT&T phone service and we use our phones as an internet hot spot. Kathi put her phone in the window and got a signal good enough to read the morning news on our computers, but most of the time we spent in the RV park we had no internet. Phone service was not quite as bad, but almost. Several phone calls cut off in the middle. One phone call we had to place four times to complete the conversation. 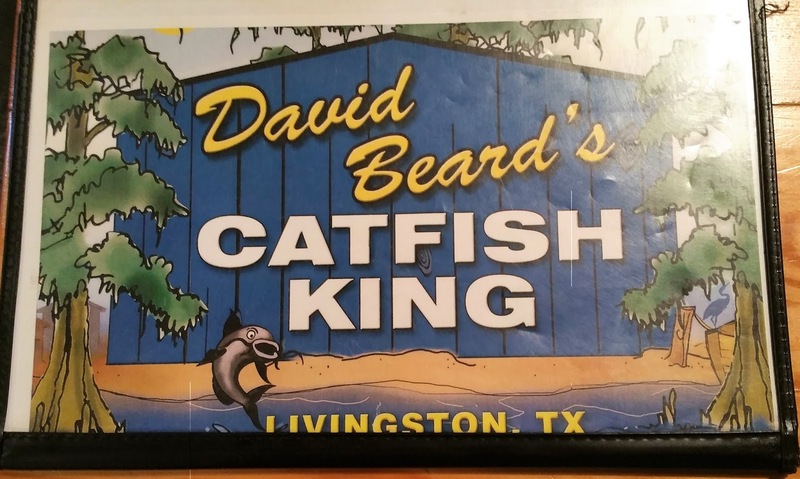 The other problem we have is with Livingston itself. There are few good restaurants to eat out. 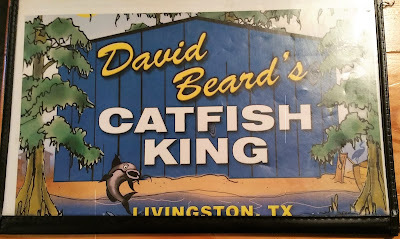 We had Mexican food at Jalasco’s that was okay and had lunch at the Catfish King. We had eaten catfish there on a previous travel venture and it was okay, but this time the catfish was bland. The salad bar was the best part of my meal. After catfish, we went to do our laundry. We looked at two of the laundromats and the first was too filthy for Kathi and the second we used, but it was not much better. Over half the dryers were not working, so it took a little longer than usual, but we got it done. We will be very glad to get to Charlie’s in Sunset, Utah and have our washer/dryer repaired. 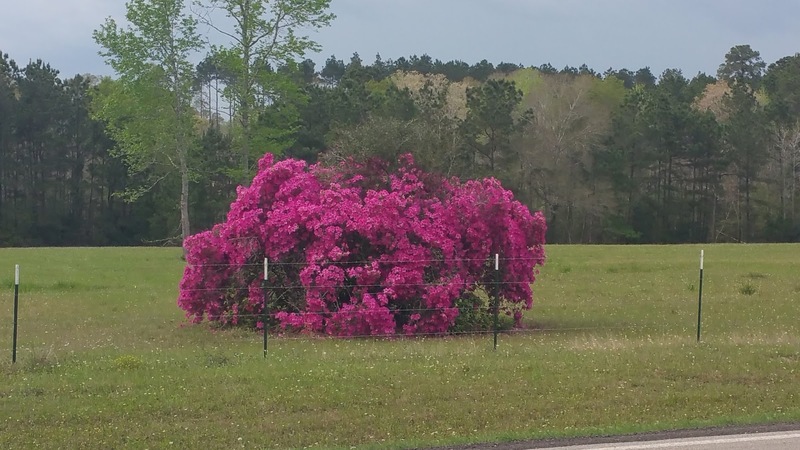 We did enjoy the blooming plants and trees in and around Livingston. There were several dogwood trees and many azalea bushes and a few red bud trees were starting to bloom. Combined with the yellow wild flowers growing alongside the road, we had color to lighten up our lives. Saturday was finally moving day again. We took US 59 north out of Livingston and went through the heart of the piney woods of east Texas. There were lots of green pine forests along the way through Corrigan, Lufkin and Nacogdoches. We left Nacogdoches on US 259 through Mt. Enterprise, Henderson and Kilgore, then west on I-20 to TX 135, then US 271. We stayed on 271 through Gladewater, Gilmer and Pittsburg before stopping at the Ramblin Fever RV Park in Mt. Pleasant for the evening. We paid too much for the RV park at $34 per night, but it was Saturday and the office was closed, so we could not check on discounts. Their spaces were long enough that we did not have to unhook our Jeep. We had grilled ham and cheese sandwiches for lunch and stayed in for the evening. 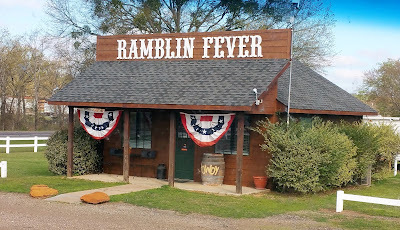 Sunday, we left Ramblin Fever about ten am and moved west on I-30 through Winfield, Mt. Vernon and Sulfur Springs, then took TX 302 through Greenville. We continued west on US 380 when TX 302 merged. We went through Farmersville and Princeton, then arrived at the MCD Innovations factory where they will install some replacement shades in our Alfa motorhome. We parked at our assigned space and hooked up electricity before going out to find lunch. I got a burger from Jack in the Box and Kathi got Broccoli beef from Panda Express to take home. Now it is Monday morning and we are waiting our turn to measure for new shades. There are five other RV’s here for shades. We are thrilled to be on the road and traveling again. I am so happy to read that you two are happy to be traveling again. I am super happy I will be seeing you before you take off running around the rest of the country. Get these new blinds and then it's freedom all the way to Utah. Get some maintenance done there and then wherever you want to go you can just hit the road. Thanks for reading my blog and making a comment, AJ. We are enjoying being on the road. We will see you soon. You guys should have brought your laundry when you visited us! We really enjoyed the time with you. Come again soon. Bon voyage.....fair skies and tailwinds, my dear friends! It was so much fun seeing you both - we could have talked for hours! Did you get my text and email? Thanks for reading my blog and making a comment, Pete. Kathi and I had a great time visiting and re-living old times. Kathi and Linda seemed to have a great conversation, also. Fun times.